Your smile is as unique as your personality, and it’s an important asset that you utilize in personal and professional interactions on a daily basis. If you feel that your smile makes you stand out in the wrong way, however, you may hesitate to share it with the most important people in your life. Thanks to advances in cosmetic dentistry and technology, aesthetic dental flaws don’t have to hold you back any longer. 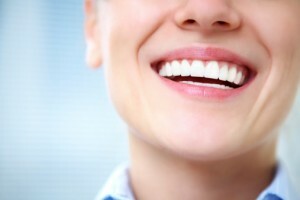 At the Dallas, TX dental office of Dr. Drew Vanderbrook and Dr. Joanne G. Hoppe, we offer an extensive range of cosmetic dentistry services customized to suit your individual needs, including porcelain veneers. Porcelain veneers have rapidly become the most popular cosmetic dentistry solution to common problems like chips and cracks in enamel, deep stains, and uneven spacing between teeth. They are hand-crafted from only the highest-grade dental porcelain, a durable tooth-colored material that reflects light in the same way that natural tooth enamel does. Veneers promote a natural appearance, so you never have to worry that your smile looks “fake” or that it will be obvious that you’ve had dental work performed. A consultation with our doctors will help determine which of our cosmetic dentistry solutions best fulfills your needs. If porcelain veneers are right for you, we’ll begin by assessing the current state of your smile and talking with you about what kind of results you would like to achieve. We can’t wait to show you what a remarkable difference porcelain veneers can make in your smile and in your life! If your smile is marred by imperfections like deep stains, cracks, or gaps between your teeth, you may be a candidate for porcelain veneers and other cosmetic dentistry solutions. Contact our office today to schedule your consultation with our team, and explore the innumerable possibilities afforded by our comprehensive menu of cutting-edge dental services. We look forward to helping you achieve the luminous, confident smile you’ve always wanted. Our Dallas, TX dental office warmly welcomes patients from throughout the DFW Metroplex and the surrounding areas, including North Dallas, East Dallas, Lakewood, University Park, Richardson, Garland, Mesquite, and more.